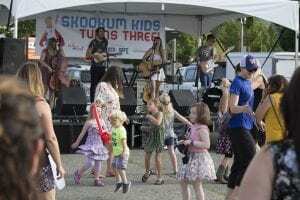 Skookum Kids holds a block party every summer to fund raise. Photo credit: Ray Deck. In December 2017, Brandon Nelson Partners set an ambitious goal: They committed to donating $10,000 to a local nonprofit once they sold their 100th house. Less than a year later, they reached that goal and donated $10,000 to Skookum Kids, a local nonprofit that helps kids in foster care. It only costs $100 a night to give comfort to a foster child who has been taken from their home. Photo credit: Ray Deck. 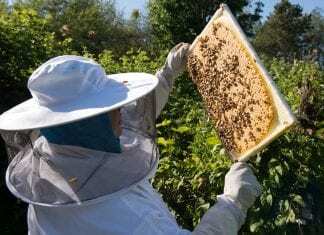 The total donation was accumulated by each agent and the firm donating a portion of their commissions, accumulating into the sizeable $10,000 donation. 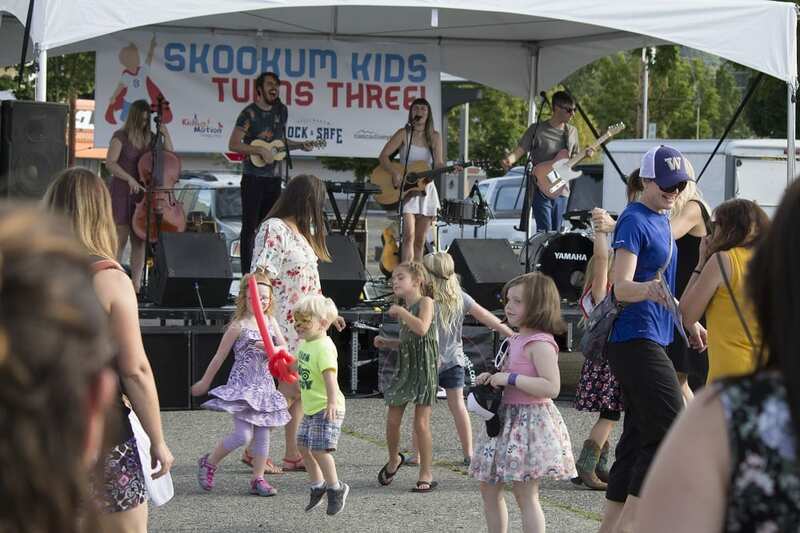 Skookum Kids helps children navigate the foster care system during their first 72 hours. Typically, there aren’t many resources for children in the time between when they’re removed from their home and when they’re placed with foster parents. Put yourself in their small shoes; all of a sudden, your parents are gone and you’re forced into the hands of the state while you await an unknown future. It’s a scary time. Skookum Kids’ mission is to help these children and make foster parents’ and social workers’ lives easier. 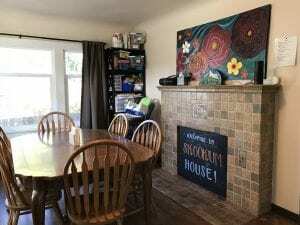 Kids are welcomed into Skookum House where they’re cared for during the intermediate period between leaving their current home and finding a foster home. Deck III says most people didn’t even realize this line of work exists. In fact, that was exactly what happened to him. Deck III was at a neighborhood association meeting a few years back when he met someone in child services. They told him about the need for a nonprofit to fill this gap. This resonated with him and he knew starting Skookum Kids was his next life mission. 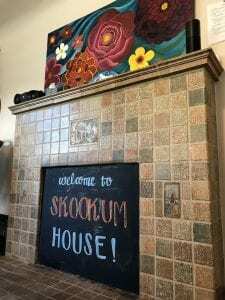 More than 100 people volunteer at Skookum house throughout the year. Each has a day job, but they work at Skookum because they feel passionately about the cause and want to help the kids. Brandon Nelson says the social media poll provided them with many worthy nominations, but they choose Skookum Kids because it contributes to such a wonderful cause. Once they arrived at the organization and made their donation, Nelson says he knew he made the right decision. In addition to Skookum House, Skookum Kids also helps families get licensed as foster parents and place children in foster homes. Brandon Nelson Partners donated $10,000 to Skookum Kids to help foster children in the process of finding a home. Photo credit: Ray Deck. Skookum kids brings a lot of comfort to kids who really need it, providing shoes, books, toys, meals, medical care, clothes, bedding and access to needed specialists. Brandon Nelson Partners do a lot of community sponsorship and are considering raising for another nonprofit in the future. Nelson says the event really made an impact on them and the community.